Nigerian music industry was thrown into mourning yesterday after the news of the death of the 60-year-old popular reggae music artiste, Ras Kimono was announced. The news was confirmed and disclosed to Channel Television by a family source in a telephone interview on Sunday. 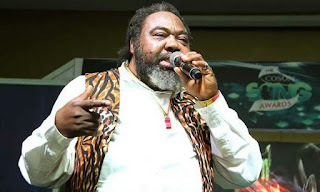 The source revealed that the reggae musician was rushed to a hospital in Ikoyi after he slumped on Saturday. He added that Ras Kimono later died in the hospital on Sunday. The late reggae music icon won several awards including the Nigeria Music Awards and Fame Music Awards among others. May his soul rest in peace.